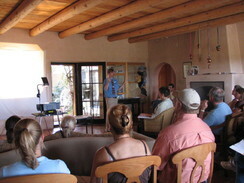 Our 2006 seminar on herd management and alpaca health. The New Mexico Alpaca Breeders association, formed in 2002, is a volunteer organization designed to help our members succeed in the alpaca livestock business and dedicated to the promotion of the alpaca industry in New Mexico. We provide promotional and marketing opportunities, educational and networking opportunities and other resource tools and references. We are dedicated to maintaining the highest ethical standards within our industry and to do our utmost to insure the health and welfare of alpacas throughout the state. Download an Application for Membership and apply today! All Breeder Members are entitled to advertise their farm, their retail operation and their herdsire services through this web site. A listing on the NMAB website provides our members with thousands of hits each month. 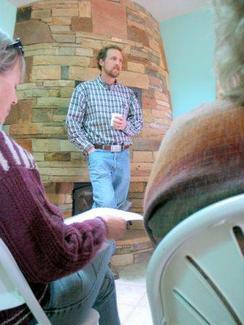 It's a great way to get your information "out there." Associate Members participate in all membership communications and can avail themselves of the networking opportunities open to all members. 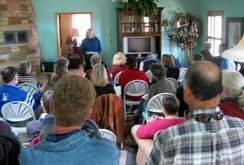 Only Breeder level members are allowed voting privileges. Advertising pays! NMAB members can cooperate on print ads, sponsorships and group displays at shows and events. 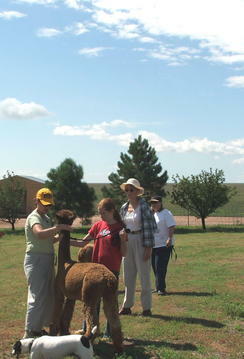 We also work to develop media opportunities to promote awareness about alpacas and the alpaca industry. NMAB sponsors at least one educational clinic per year and provide ongoing resources through membership networking and email "blasts." NMAB members provide assistance and share their knowledge with one another, particularly to help the newest of our breeders in the alpaca industry. We invite you to join NMAB! 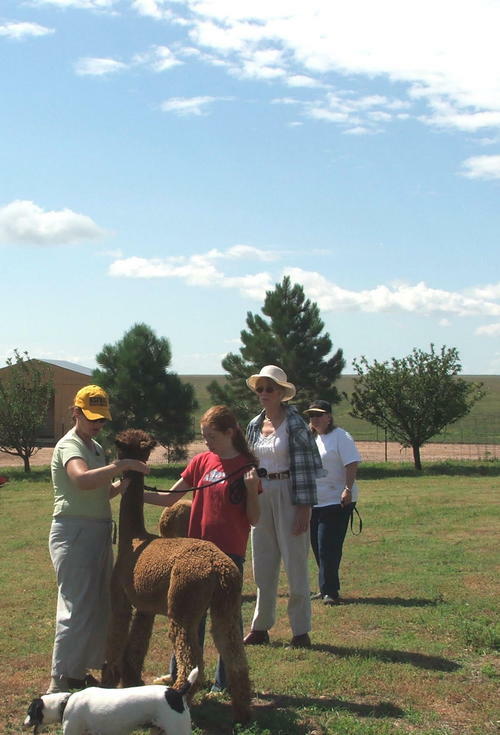 You will find we offer you great cooperative marketing opportunities to enhance your alpaca business, helpful educational resources, and opportunities for dedicated alpaca breeders to work towards excellence in our fast growing industry.